These days, the wonderful World Wide Web is full of people clamoring to dish out advice on everything from the best places to eat, the worst places to sleep, to the top marketing trends to heed. So, whom do you trust? How do you tell the difference between an amateur correspondent vs. a seasoned pundit? In the mobile space, it seems like everybody is adding their two cents on the transformative effect of push messaging. Right now, push is the darling of mobile and, consequently, there is no shortage of commentators on what makes push so powerful. It’s a fairly hot conversation topic, but make sure you don’t get mislead by someone who’s just jumping in because it’s trendy to do so. Here are five push messaging tips from rookies vs. expert app marketers to help you distinguish the good from the bad. 1. Are Push Messages Ads? When it comes to push messages, the biggest blunder rookies make is to focus on the literal meaning of the word “push” and use this marketing vehicle to hard sell. If you employ a pushy approach, you’ll only motivate your users to unsubscribe from these notifications or worse – get them to uninstall your app. Push messaging needs to be contextual and offer the user something of real value. It can’t be all about you as a brand; it has to be centered on your customers’ wants, motivations, and habits. The best mobile marketing ads don’t seem like ads at all. Instead, loveable app marketing entails building relationships with your users. Push messages are a great mechanism for politely reminding latent users to return to your app because something new has happened (like a new sale, new feature, or new activity that requires their attention). 2. Who Do I Send Push Messages To? Novice mobile marketers are prone to applying their traditional marketing learnings to app marketing as well. They incorrectly think that the success of push messages depends on how many eyeballs they can get on them (much like television commercials). But unlike the TV, smartphones are a personal marketing medium and overly generic push messages will fall on deaf ears. Seasoned app marketing professionals know that the most clicked/most interacted with push messages are personalized. Your app users are not a giant homogenous group of people and therefore, not all push messages will be relevant to everybody. You must slice and dice your users into segments that share important attributes. This way, you’ll be able to use push messages to deliver highly targeted offers that matter to people. 3. How Many Push Messages Do I Send? Newbie mobile marketers think the best way to stay top of mind on smartphones is to batch-and-blast as many push messages as possible. However, it’s not only about quantity and sometimes too many messages seem like spam. You should find a comfortable rhythm and pace in which to deliver push messages so that your users don’t forget your app exists and don’t think it constantly bugs them for no good reason. Expert mobile marketers understand that when it comes to push messaging frequency, the ideal number varies depending on who you’re targeting and what category your app falls into. For example, social apps can get away with more regular push notifications because people generally want to be alerted as soon as possible when their friends interact with them. Conversely, mCommerce apps should time their push messages so they are more spaced out and correspond to sales (vs. friend activity). 4. Can I Connect Push Messages? New players in the mobile game think that each move is independent of the previous one. In other words, rookies think each push notification is a stand-alone communication and simple “one-off” messages sent out on gut instinct. However, as mobile software becomes more sophisticated, astute marketers should soon be able to find solutions to help them link messages together so they’re laying out a push plan - not just acting on impulse. Mobile engagement is the key to retaining users and maximizing their lifetime value. And mobile engagement is a lot easier to achieve if you have a way to connect your marketing efforts together so you can see the big picture. 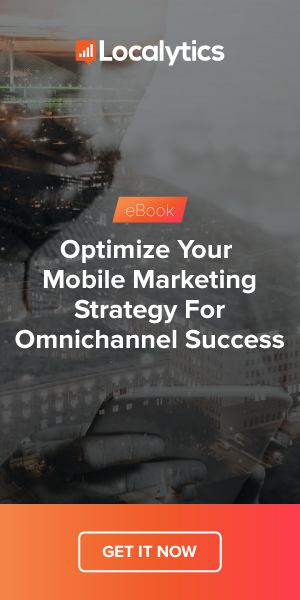 Seasoned mobile marketers know that push messages can be connected in a series to continually nurture app users down important conversion funnels. Sure, you may see some short-term wins by taking random shots, but long-lasting mobile champions employ a well thought-out strategy. 5. Do I Need Both Push and In-App Marketing? The newcomer mentality in mobile is that push messages are strong enough to completely carry your app marketing strategy. While it is true that 68% of people have enabled push notifications and 70% of consumers find all types of push notifications valuable, you have to be careful not to constantly interrupt people. Push messages are a great means of communicating with your users outside your app but, they can’t help you speak to your in-app audience. The key is to build an effective push messaging strategy that follows best practices (more on this later at the end of the article) without seeing it as the one and only important piece of your app marketing pie. The veterans of mobile know that your app cannot achieve long-term success if it doesn’t employ both push and in-app messaging to nurture and retain users. Did you know that 20% of apps are only used once? Without push messaging in your marketing toolbox, you’d never be able to communicate with users once they’ve left your app. Therefore, you should use push notifications to bring attention and traffic back to your app. And then use in-app messages to help convert users. In short, your push and in-app marketing strategies should complement and support each other. Want to Know What Else Mobile Experts Say? Right now, the mobile world is busy talking about the power of push messaging because this marketing vehicle is about to undergo a transformation. Are you curious about what the future holds? Do you want to know what else the pros are saying about effective and awesome push marketing? Join Localytics for a free live webinar where our very own senior app marketing expert will divulge all the best practices of top performing push messaging campaigns, give you immediate action steps to take, and share his inside scoop on what’s next to come. Just click the button below to sign up and get expert (not rookie) push marketing tips!